The Sarieh Law Offices serves all of Orange County and Los Angeles County in the area of family law, including divorce, adoption, paternity, domestic violence, guardianship, child custody, and more. If you have just been served with divorce papers or an Order to Show Cause, or if you just need to know your rights, how to proceed and what to expect in a divorce proceeding, call the Sarieh Law Offices for immediate assistance from an experienced family law attorney in Orange County. Firm founder and principal attorney Wail Sarieh has himself been through the divorce process and understands what you are going through. We know that your family issue is very stressful and emotionally draining. Unfortunately, once a divorce, child custody dispute, child support contest or any other family issue begins, conflicts often escalate, and strong emotions may interfere with rational decision-making. During such hard and stressful times, you will need an aggressive lawyer by your side – one who truly cares about you and your case and is committed to a successful outcome in your case. Upon meeting with an Orange County divorce lawyer in our office, you will know that you are in good hands whether your case involves child custody, visitation, child support, spousal support or any other family law matter. We will be beside you every step of the way, providing guidance throughout every aspect of their case, whether you are in the midst of an Evidence Code Section 730 custody evaluation or hiring forensic accountants to determine the real cash flow of your spouse. We have special expertise in uncovering hidden assets, especially in cases where the property is located across state lines or even internationally. Our divorce law experience includes complex matters such as the valuation of the goodwill of a business or ascertaining the community interest in separate property under the Moore/Marsden Rule. It is very distressing to get served with divorce papers for a dissolution or marriage action, especially if you were not expecting this to happen. At Sarieh Law Offices in Orange County, we know what you are going through emotionally, and we know what needs to be done to protect your rights and interests and get you through this difficult time. Although you may feel like you just want this process to go away and be done with as quickly as possible, the decisions made in your divorce can have a lasting impact on you and your children for years to come. 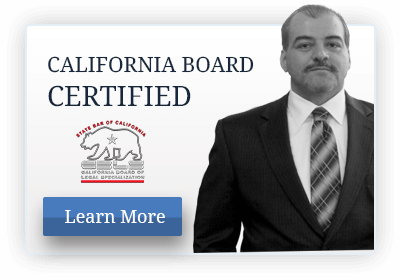 When served with California divorce papers in Los Angeles or Orange County, let us look out for you and your family. The papers you were just served with (usually a summons and petition) are very important, and you must respond in a timely fashion or your legal rights will be greatly compromised. Usually you have to respond within 30 days if you were personally served, but the timeline can differ depending upon how the papers were served. Timelines are crucial, but they are also highly technical. An experienced divorce lawyer in Orange County will know what to do to secure your rights within the applicable time frame. The first thing you should do is immediately call us to schedule a 45-minute, free initial consultation to have those documents reviewed. There is a special urgency if the papers indicate there is a court date scheduled and/or if some temporary orders have been issued. You also should be aware that the back side of the SUMMONS contains some automatic temporary restraining orders (ATROs) that affect your ability to travel with the children and your rights concerning your insurance coverage and property rights. Read them carefully, and we will go over them in detail during your consultation. A Request for Order is a request submitted to the court by a party to establish or change orders relating to child and spousal support, child custody and visitation, or other related issues, such as requesting that one party pay the other’s attorney’s fees in the divorce or custody dispute. If the Request for Order (RFO) is to establish or modify child custody or visitation, the court usually sends the parties to mediation before the RFO is heard by the court. Some courts will schedule the date of mediation, while in other courts you will have to call in and obtain an appointment with the conciliation court. With a vigorous Santa Ana divorce attorney practice, we are no strangers to divorce and family mediation and can represent you effectively in this process as well as courtroom appearances and other necessary steps. When filing an RFO, you should attach it to the Application for Order and Supporting Declaration. If you are requesting any temporary orders pending the full hearing on the RFO, such as temporary orders for custody or support, you will need to complete the applicable Temporary Order form and attach it to the RFO. Typically, an Income and Expense Declaration is required if your RFO asks the court to rule on any monetary issues. The RFO form has an area to fill in the date and place of the hearing and the request for temporary orders while the case is pending. If the RFO papers are filed at the same time as the Petition, this hearing is usually held within three to four weeks after the Petition and Summons are filed. Orders made by the court pursuant to an RFO are temporary, which means that the orders remain valid only until another modification is filed, at the time of the trial or when the Judgment of Dissolution is filed. We have offices conveniently located for clients in Los Angeles, Irvine, Newport Beach and Orange County. For loyal and aggressive advocacy from a skilled and knowledgeable family lawyer, contact Sarieh Law Offices to schedule a FREE 30-minute case evaluation with an experienced Santa Ana divorce attorney.